Last week, the EU published its ‘Sustainability Impact Assessment (SIA) in support of an investment protection agreement between the European Union and the Republic of the Union of Myanmar’. This study will be discussed at a civil society dialogue meeting in Brussels today. It recommends that it is in Myanmar’s interest to sign the investment agreement with the EU, but based these conclusions on flawed assumptions. According to the SIA, signing an investment treaty with the EU will bring more much needed European FDI to Myanmar. 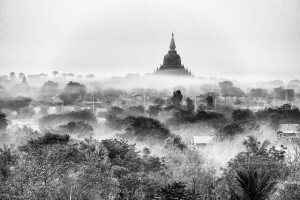 In addition, the SIA states that “increased investment could promote economic stability and growth, increase employment and as a result lead to better living standards and a reduction in poverty in Myanmar”. Both these assumptions are unsubstantiated. At the same time, there are high risks associated with the investment agreements promoted by the EU. The EU-Myanmar investment agreement will curtail the policy space of the authorities and make the government vulnerable for investment claims to the tune of hundreds of millions US dollars when it tries to implement policies that aim to harness the benefits of FDI for sustainable development, build peace or to protect human rights and the environment. What the EU is proposing, is an investment treaty aimed at opening up Myanmar’s economy to European multinational corporations by granting foreign investors far-reaching rights and protections, enforceable by means of a dispute settlement mechanism that allows foreign investors to bypass domestic courts and sue the government before an international arbitration tribunal. These tribunals have the power to award a foreign investor monetary compensation for government measures that is deemed to have a negative impact on their business operations. European investors are active users of this system. A wide range of government measures, including in the areas of health, working standards, environmental regulation and taxation, have already become the subject of claims. And awards can run into hundreds of millions of dollars, payable out of public budgets. Myanmar is still in its very early stages of democratization and peace building process, which will involve negotiations over ownership and revenue sharing of natural resources in the different ethnic areas. Many laws and policies still need to be revised. Signing an investment treaty like the one proposed by the EU would lock-in future policy space in Myanmar and severely endanger the prospects for democracy and sustainable peace. For Myanmar to take this course at this stage in its development appears not only inadvisable, it is also unnecessary. According to the EU – and this conclusion is echoed in the SIA – its investors need this extra tier of international protection at the expense of the policy space of the national government to even consider investing in Myanmar. But this conclusion is highly controversial. Academic studies show no direct correlation between international investment agreements (IIAs) and attraction of foreign direct investment (FDI). Indeed, many countries have found that the promise of increased FDI after signing an IIA failed to materialise. This has been the experience of South Africa, Ecuador, Hungary and Brazil. Even the European Trade Commissioner, Cecilia Malmström, recently admitted that most studies showed no “direct and exclusive causal relationship” between international investment agreements and foreign direct investment. There is no compelling reason to grant all incoming foreign investors all kinds of privileges in an international treaty that hampers the government in its ability to regulate in the wider public interest. At this stage in its social and economic development, Myanmar needs to keep full control of its regulatory powers. The SIA concludes that “increased investment could promote economic stability and growth, increase employment and as a result lead to better living standards and a reduction in poverty in Myanmar”. However, foreign investment can only be harnessed to contribute to social development and environmental protection if the right regulatory framework is in place. Alfred de Zayas, Independent Expert on the promotion of a democratic and equitable international order appointed by the Human Rights Council of the UN, has gone as far as to recommend that states abolish the existing investor–state dispute settlement (ISDS) system altogether. And indeed, many countries – including Venezuela, Ecuador and Bolivia, South Africa, Indonesia and India, are already engaging in terminating and/or revising their bilateral investment treaties. Mr De Zayas also recommends conducting human rights, health, and environmental impact assessments not only before, but also after concluding investment agreements. States should also work towards a legally binding framework covering corporate social responsibilities.This balance between corporate rights and binding corporate social responsibilities (CSR) is currently completely lacking in the EU’s investment agreements. For more than two decades, CSR frameworks have failed to tackle human rights and environmental abuses by transnational corporations (TNCs), including European ones. That will not be any different in Myanmar. In the interest of the peace process it’s very important that Myanmar maintains full policy space to harness foreign investment for its own development objectives. The new members of parliament in Myanmar should insist on sufficient time to acquaint themselves with the latest state of the international debate on Investment Protection Agreements and to properly inform themselves about the possible impacts and wider implications of the proposed investment protection treaty at this pivotal point in Myanmar’s history. 518 organizations from MATA Myanmar Alliance and Transparency 53 organizations from Lands in Our Hand and various civil society organizations.